Healthy clean feel-good climate for everyone. Except for house dust, mites, stains and soiling. 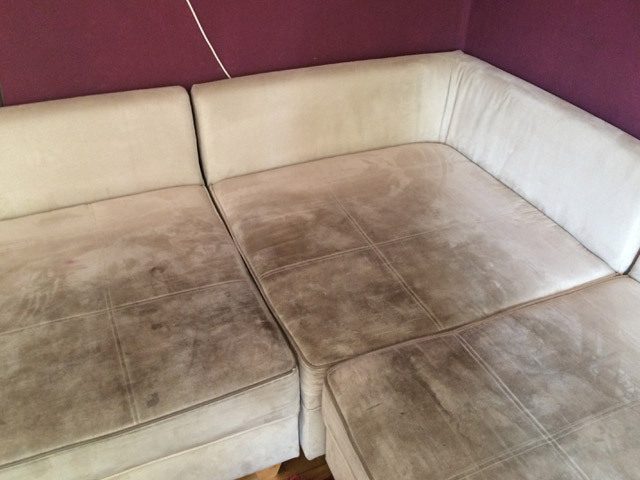 Tiptop Polsterreinigung: professional cleaning of sofa, armchair and mattress. Simply call us! On seven days a week, we are available for you from 7:00 to 22:00. Or request a quote via the contact form or by e-mail. Within three days, you will receive your individual quote and your desired date which may also be in the evening or on the weekend. At the agreed date, we will bring all equipment and material to do our work—you can simply enjoy your leisure time. A split second’s lack of alertness is all it takes to spill a cup of coffee, a glass of red wine or juice—on your couch or sofa. Crumbs of greasy crisps, tomato sauce, pizza cheese, cream cake, children’s chocolate fingers, dirty dog paws, a cat that relieves itself, the pen that drops out of the pocket—all of them leave their marks on armchair or corner sofa. 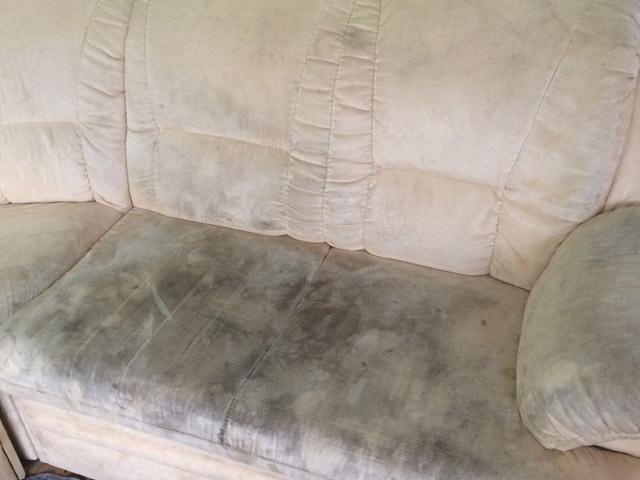 Every day, we leave and discover stains, soiling and dirt on our upholstered furniture. Or even worse: armchairs, stools, chairs and seating group have an unpleasant smell. Are you annoyed? Don’t worry! We eradicate stains and odours. We are quick, reliable, thorough, flexible and mobile—and we only use environmentally compatible cleaning agents. At your home and in your office! 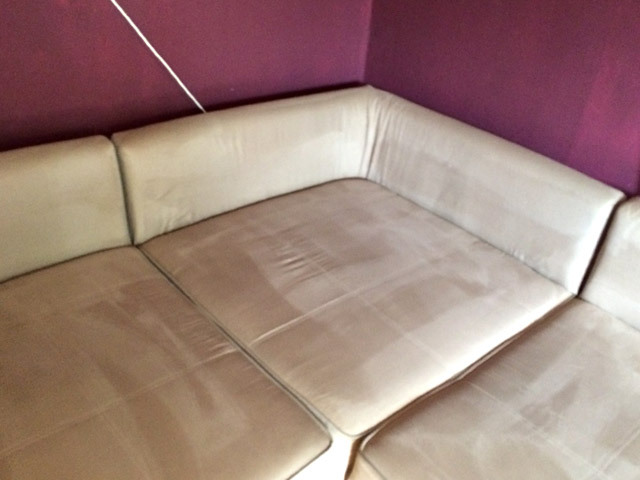 You wish to have truly clean, spotless and odourless upholstered furniture? Which you love to sit on and that look like new? From couch, corner couch, seating set, armchair, sofa, chair, stool and chaise longue to daybed and settee—we will bring everything we need to clean them. During our work, we take great care to protect and cover your apartment, your house and your home—you can simply lean back and relax. 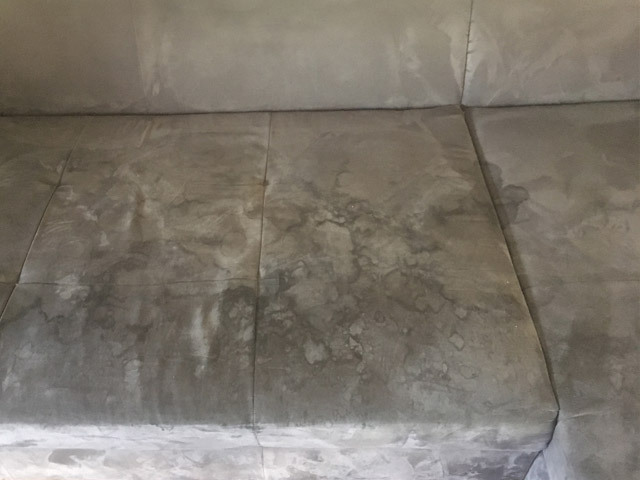 Ensuring a deep-penetrating and yet gentle upholstery cleaning, we make sure that you can use your upholstered furniture again as soon as possible and leave your home just as we found it: neat and tidy. Needless to say, all our on-site services are also available for business clients: companies, hotels, firms, practices, kindergartens, nursing homes, cafés, community centres, etc.—we clean your upholstered furniture no matter where they are. This includes office chairs, conference chairs, visitor chairs, café chairs, waiting room chairs and armchairs, two-seaters, three-seaters, corner sofas—everything that your visitors, customers, guests and patients will sit on with a good feeling as they can be sure your upholstered furniture and chairs are deeply clean. And they smell clean. By the way, you can be sure that we perform all services discreetly, politely and reliably. Did you know that we do only clean two-seaters, sofa beds, corner sofas, armchairs and upholstered chairs, but also mattresses, carpets and carpeted floors? Your vacuum cleaner only removes superficial, visible dirt and dust—thorough and perfect cleanliness can only be achieved by eliminating deep-seated dirt, stubborn stains, mite excrement, spores, germs, bacteria, urine and unpleasant smells. That is exactly what we do when we professionally and competently clean your mattress and carpets. And we also clean car seats, upholstery in mobile homes, caravan upholstery and box spring beds—for business customers and in private households. 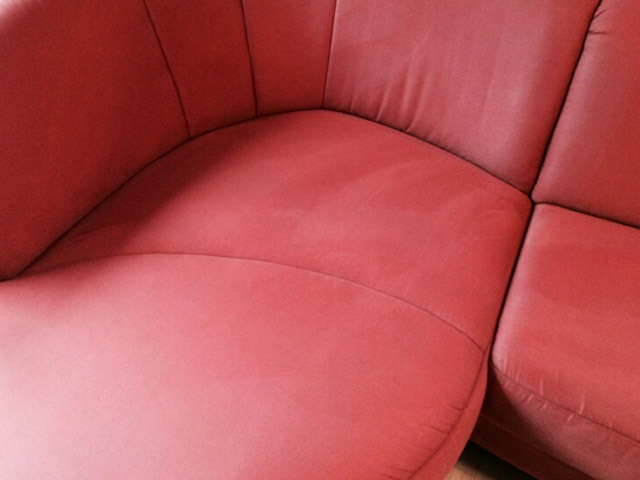 Professional upholstery cleaning: trust the pro—and feel comfortable! From couch, sofa, settee, corner sofa to armchair, stool or upholstery chair—over time or due to smaller or greater mishaps upholstery furniture may become stained, dirty and smelly. 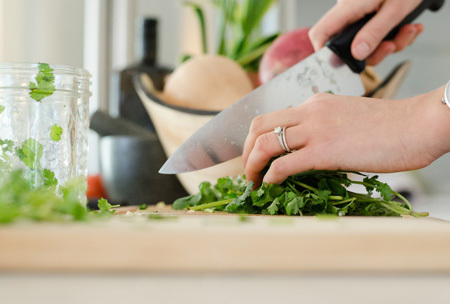 That’s not nice—and may even have an impact on your health and well-being. 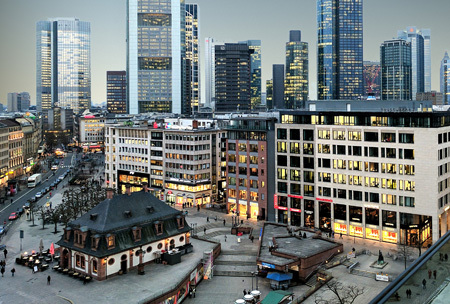 At this point, it is time for our professional cleaning service in Frankfurt am Main. 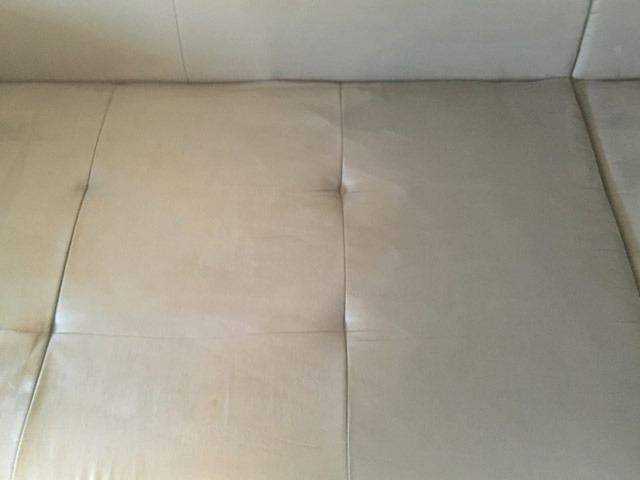 A competent and deep-penetrating upholstery cleaning is not only reasonable when your upholstered furniture becomes unsightly or even smells unpleasantly—in addition to a clean, neat look and the good feeling of hygienic cleanliness, an upholstery cleaning saves you money: it extends the lifespan of your upholstered furniture, which—and that’s the additional plus—looks almost new after the cleaning! Transparent billing based on seating surface and degree of contamination—no hidden extra costs, no travel costs. But neat results! 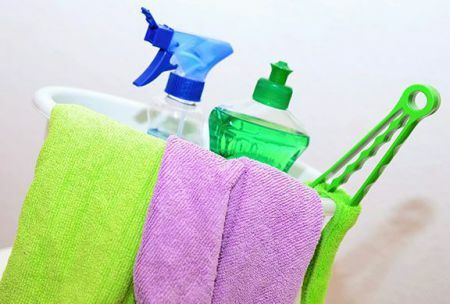 Our cleaning products are compatible to the environment and biodegradable. That’s extremely important to us—as is for allergy sufferers, sensitive people, elderly people and children! Uncomplicated cash payment, tax-exempt bank transfer, cost estimation, regular cleaning service or single cleaning—we are just as you need us! What do I have to do to prepare for your visit? Nothing. You don’t have to do anything. Well, you can sit back, relax and afterwards enjoy your clean upholstered furniture. We will bring all tools and equipment we need to clean your upholstery. 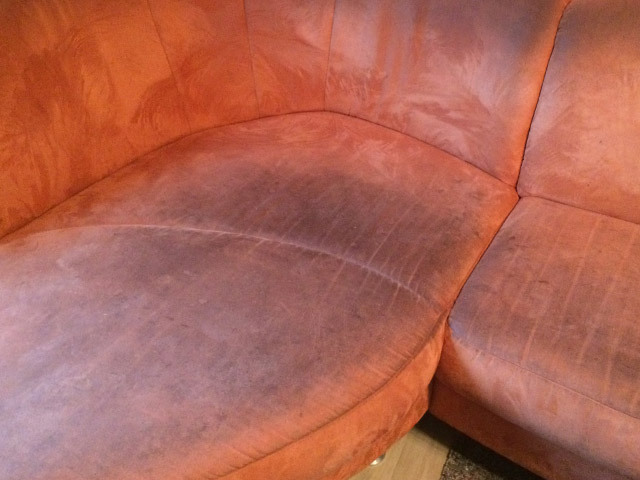 If you want, you can move the upholstery to be cleaned so that we can start the cleaning immediately. The cleaning is faster and easier when the furniture is accessible from all sides (approx. 0.5 m). You do not want or cannot move the furniture? We are happy to do this for you. Just let us know in time and we will plan accordingly. In which towns and cities do you offer your services? We visit you when you are in the Rhine-Main and Rhine-Neckar regions. 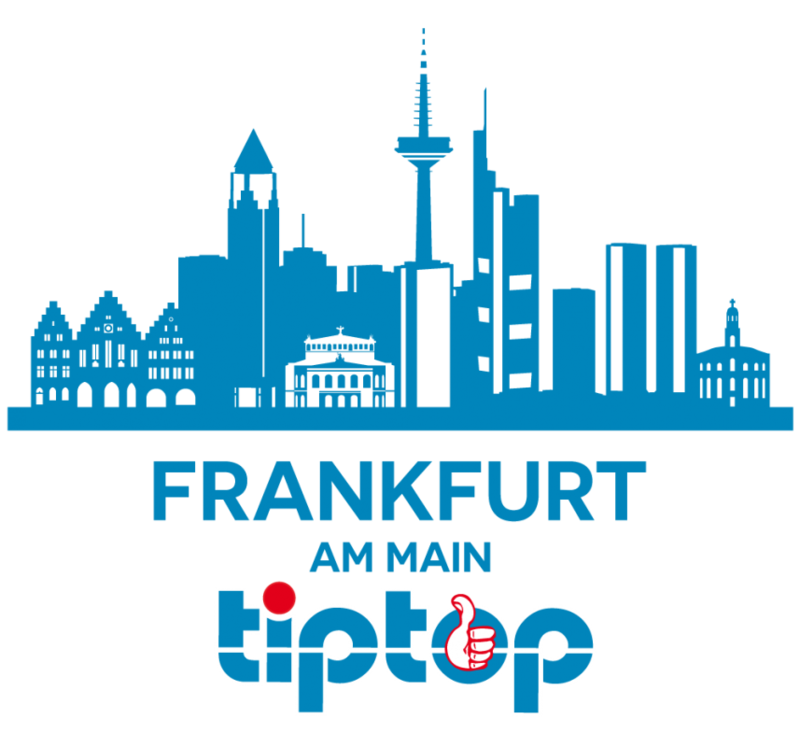 This includes Frankfurt am Main, Mainz, Wiesbaden, Mannheim, Offenbach, Hanau, Aschaffenburg, Bad Homburg, Rüsselsheim, Groß-Gerau, Oberursel, Darmstadt-Dieburg, Ludwigshafen, Heidelberg, Coblenz, Alzey, Worms, Montabaur, Limburg, Kaiserslautern, Pfalz, Bergstraße, Odenwald, Westerwald and of course the many large and small cities, towns and villages in these regions. It depends on how many pieces of upholstered furniture need to be cleaned. Prior to the cleaning, you will receive a rough estimation of the time needed. Only this much: cleaning the upholstery of up to six chairs takes two to three hours. Afterwards, the upholstery needs to dry for four to twelve hours. Will you guarantee the stain removal? We don’t like promises that we cannot keep—we are sure you neither! Hence, we will give no guarantee that odours, dirt, soiling and stains are removed. But why not, you might ask. To put it simple: we can hardly remove stains and dirt that were not treated professionally, that are old or that are on sensitive fabrics. The fresher the stain, dirt, discolouration, smell and mishap, the greater the chance that we are able to remove the unsightly stain. 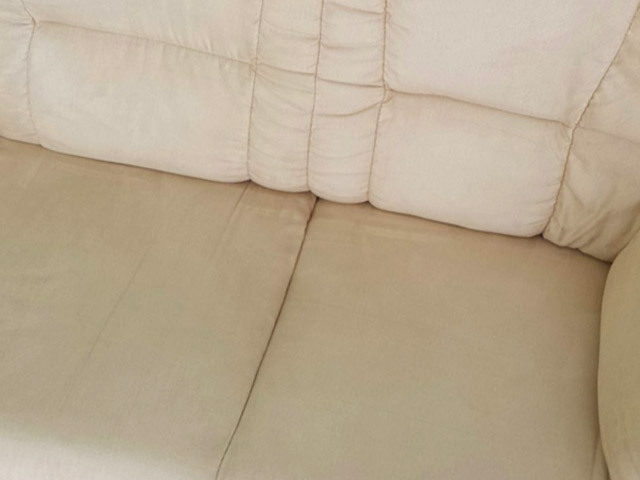 To see the results of our services, please move the slider from left to right in the direction of the arrow or vice versa—or simply arrange an on-site appointment to explore how clean your upholstered furniture can become. We eliminate stains, dirt, germs, allergens, mites and odours from upholstery and upholstered furniture in a professional, non-toxic and eco-friendly way.But that’s not all! We also clean mattresses, carpets and carpeted floors.